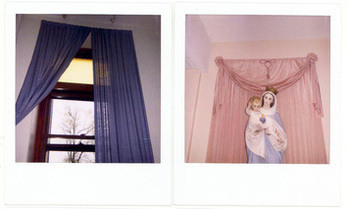 THE PROJECT: Two artists, geographically divided, create a visual dialogue via 100 Polaroid photographs. 50 each. Through the images composed in their time apart, each day a photograph is made to later contribute to a visible tangible timeline and to also create a visual epitaph to a medium. This project unites two people and their interior thoughts without words and despite distance; it preserves fragments of two lives and initiates conversation in a universal language, which can be shared with any who have the opportunity to look. 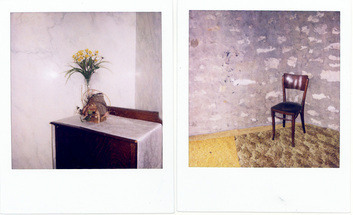 This photographic dialogue is dedicated to describing time through the literal, figurative, emotional, and personal meaning found in each Polaroid, and intended by its maker. 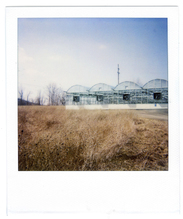 Twoartists, geographically divided, create a visual dialogue via 100Polaroid photographs. 50 each. Through the images composed in theirtime apart, each day a photograph is made to later contribute to avisible tangible timeline and to also create a visual epitaph to amedium. This project unites two people and their interiorthoughts without words and despite distance; it preserves fragments oftwo lives and initiates conversation in a universal language, which canbe shared with any who have the opportunity to look. 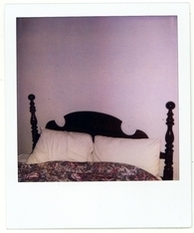 Thisphotographic dialogue is dedicated to describing time through theliteral, figurative, emotional, and personal meaning found in eachPolaroid, and intended by its maker. Therecorded image exists as an index: a material trace of time elapsed.Through a reduction of physical dimensions, time and experience can bereconstructed and in its observation vicariously re-experienced. Withrecent shifts toward immediacy, the accessibility of the digital hasdrastically changed the parameters of the photograph. The notion of acollective memory is also changing. Who can own a memory, an image anda photograph? At the same time, the physical object is being lost todigital syntax. What is to become of the silent monument of thephotograph? What apparatus are required to create, view, and share aphotographic image? 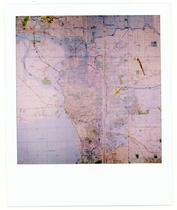 The Polaroid photograph is unique in itsability to exist in two states simultaneously. It is nearinstantaneous, similar to that of the digital image, but it also existsas an object. You can hold it in your hand and watch it develop. Oncethe shutter opens, the passing present is etched in light. Timecollapses into a moment, and a single unique perspective is exposed. 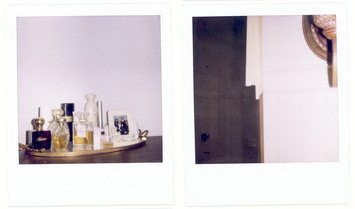 Inthe time a Polaroid photograph develops, there is a temporal elasticityas the past develops in the present.